The UTEP Borderlands Public History Lab, launched in January 2016, preserves and promotes borderlands and immigration histories while mentoring students to develop professional skills in research, public presentation, and working collaboratively. The work of the BPHL is grounded in the long-time success of Museo Urbano and the Institute of Oral History. 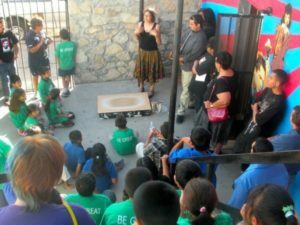 Museo Urbano is a museum without walls that began on the streets of the historic El Segundo Barrio in 2006. Bringing history to the community through workshops, museum exhibits, publications, and cultural events, Museo Urbano believes that understanding the past helps us understand the present and envision our future. A second critical component of the BPHL is the Institute of Oral History, which was established as part of the Department of History in 1972 for the purpose of preserving the history of the region adjacent to the Rio Grande both in the United States and in Mexico. It is known internationally for its collection of over 1,000 interviews and over 20,000 pages of transcripts.